Well, it's that time again! 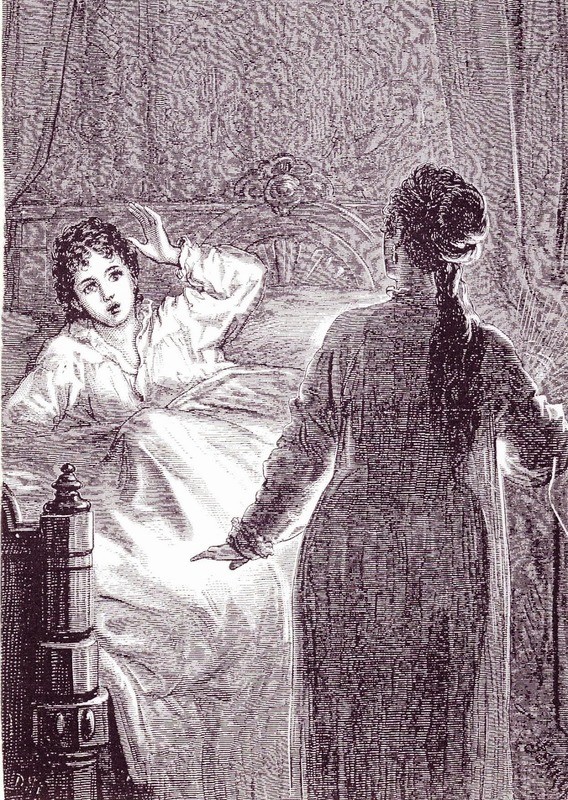 As I mentioned when I reviewed Hammer's Karnstein Trilogy, first up is Carmilla, which came out 53 years after Polidori's The Vampyre and 25 years prior to Stoker's Dracula. A lonely girl lives in an old castle amongst the Hungarian mountains with her father. As a child, dreamt that she was older and someone slipped into her bed. It was a beautiful girl who gently kissed her breast, then bit her. After this traumatic experience, she has grown up peacefully for several years, until she is the age from her dream. She is expecting a visit from a nearby general and his daughter, when the general's daughter suddenly dies, and the trip is cancelled. 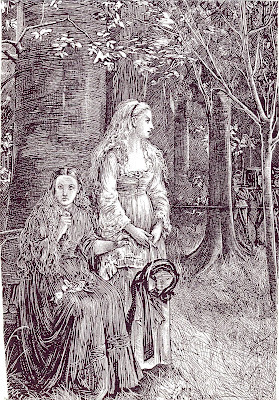 However, she is soon visited by an old woman who leaves her daughter to stay: Carmilla: the beautiful girl from her childhood dream. Twenty-five years before Dracula, Irishman J.S. Le Fanu penned this classic tale of lesbian vampires. The sexuality is never overt, and allows the reader to focus on the more psychological aspects of Laura and Carmilla's relationship. The build up of tension is great; although, much like Jekyll and Hyde from last year, this story is somewhat ruined by its reputation. Though excellently written, the story does languish on some superfluous passages. Laura is a young woman descended from the noble Karnstein line on her mother's side. Much like the film, she is a noble girl who is boring aside from her interactions with Carmilla. The General Spielsdorf is the first person who takes in Carmilla. By the time he takes action, it is far too late: his daughter is dead. Though he does charge in with sword drawn, so he's at least prepared for the follow through. Laura's father is even more of a fool than the General though he cares for his daughter. He only suspects Carmilla after encountering the general. Carmilla is a great foe, whose succubus like desires are only confused by the fact that she might actually feel something for the girls she is slowly killing. 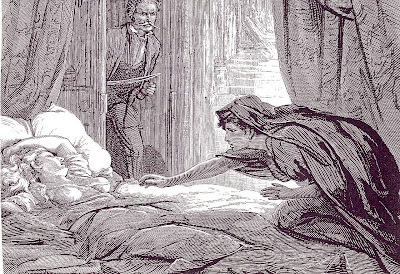 Much like Dracula, Carmilla survives through cleverness and relies on her cleverness to feed. 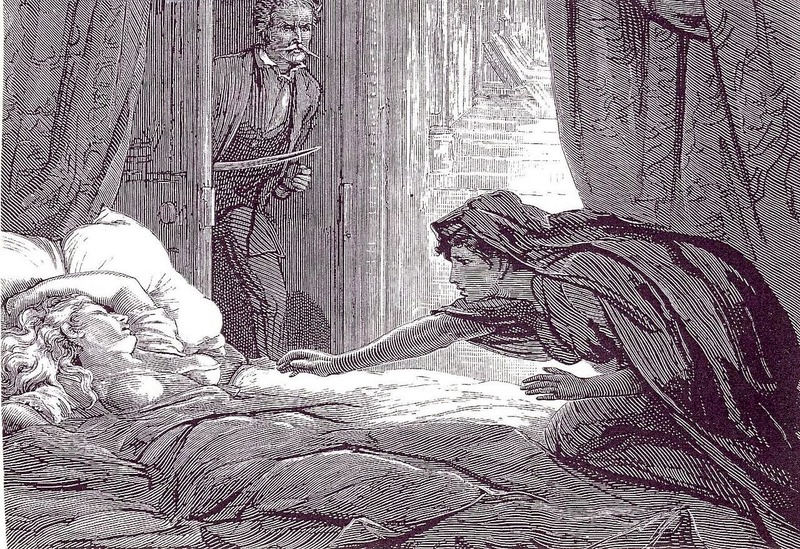 Unlike the count, Carmilla isn't as awesomely powerful. The passages describing the rustic castles and the sylvan crags surrounding them are fantastic. The life in the the area is also well presented, with the funeral scene being particularly great. You really get a feel for the life back then in this text, as mundane as certain sections might be. The end of the story proper is incredibly dissatisfying, but the end of the novella itself really redeems it. Carmilla shines with the atmosphere chills of its age. Despite digressing into some tediousness, it bounces back quickly with consistent eery moments. With a superbly chilling villainess and interesting psychological angles, this book is sure to satisfy fans of vampire fiction and Gothic horror.